Are you in the market for new major appliances? Or maybe you’re planning on updating your kitchen or doing a whole kitchen renovation,? One of the best ways to make a statement with your kitchen is with the GE Premium finish options. I’m crushing on the black stainless finish. I’ve loved every GE appliance I’ve ever owned, and I was impressed to learn that GE is the leader in premium finish options. This allows us to design a kitchen that is special to us. A kitchen that’s distinctive and shows off your personal style. A bold and sophisticated appearance that will make your kitchen stand out. A high-gloss finish that makes a statement in any kitchen. Its fingerprint-resistant and easy to maintain and clean that any parent can appreciate. The Black Stainless is a bold black hue with the contemporary brushed metal appearance of stainless steel. Black Stainless adds a finish that will compliment any kitchen decor. GE lets you choose the premium finish that allows your kitchen to make a statement and your personality shine. The best part… it wipes clean in seconds, staying smudge-free. 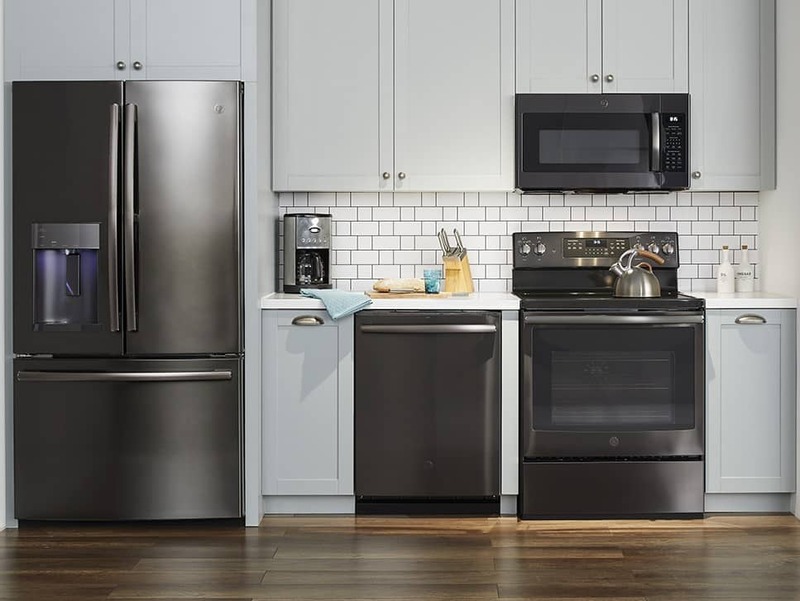 Check out the line of GE Black Stainless appliances at Best Buy and you’ll see what I’m talking about. That’s a really nice finish. I’ve never seen it before. Thanks for posting! I really like the look of these new appliances! Easy clean is so important to have.